Keller delivered the sermon at John Stott’s U.S. memorial service Friday (Wheaton Bible Church, November, 11, 2011) and shared that Stott’s bestselling book, Basic Christianity (1958), which has sold well over a million copies and has been translated into 25 languages, had a “profound informative influence” on him. “Therefore, I needed to rethink. I need to do what Hebrews 13:7 says I should do. I need to rethink my life in light of the results of his (Stott’s) life,” recalled Keller about his thinking several months ago when he was invited to speak at Stott’s memorial service. He is the author of over 50 books translated into 65 languages, and was named by Time magazine in 2005 as one of the “100 most influential people” in the world. But despite the influence and recognition he received during his life, Stott is remembered for his humbleness and dedication in serving the Lord. “The greatest gifts in John’s life were not his talents, it was actually his character,” remarked the Rev. Dr. Mark Labberton, a former study assistant of Stott who is now a professor at Fuller Theological Seminary in California. Keller, who said he read six volumes on the life of John Stott over the past two months, stated that he uncovered five findings about Stott’s life that should make Christians rethink their own life. First, Christians should be convicted by Stott’s Kingdom vision and zeal for God’s Kingdom. “But there was something driving him,” said the influential American preacher. Although Stott was considered the greatest student evangelist of his generation and foresaw the rise of Christianity in the global South before most anyone else, he was not satisfied with his accomplishments. Keller also found that Stott was a great innovator, including his reinvention of expository preaching, invention of the modern city-centered church, his role as a Christian statesman who uses institutions to further the work of God, and his forcing evangelicals to deal with social justice issues. The Rev. Dr. Christopher Wright, the so-called “successor” of Stott and the international director of Langham Partnership in London, remarked that Stott was way ahead of his time. Dr. Joshua Moody, senior pastor of College Church, recalled Stott saying decades ago to a group of undergraduate students that included himself, “If I had to live life over, I would live for Christ.” After a pause, Stott added, “You know, if I had to live a thousand lives, I would live them all for Christ.” “We come here to honor a man whose preeminent purpose is to honor Christ,” declared the pastor of the host church of the U.S. memorial service for John Stott. “I’m not certain that John Stott would want people to remember him,” said John Stott Ministries President Benjamin Homan. Those puzzling words about the man described as the architect of the evangelical movement in the 20th century make sense when you talk to more people who knew him. One of the most popular words used to describe Stott, who passed away Wednesday aged 90, is humble. Not only was Stott’s daily routine strict, but his year was structured with a razor-sharp focus on maximizing his effectiveness in various ministries. For 25 years, Stott spent three months in every 12 travelling for international missions, speaking at conferences and preaching around the world. Another three months of each year would be devoted to writing, and six months dedicated to ministry. “He was extremely disciplined in his personal life and very simple in his habits. He lived in a one bedroom, one living room with a small kitchenette, and that was his life. He did not have any great wealth or style. He was very simple and frugal,” Wright recalled. His mentor taught him how to engage in ministry publicly as well as in a pastoral capacity while maintaining equal integrity in both. Stott died peacefully at 3:15 p.m. local time on July 27, 2011, at his Christian assisted living home at St. Barnabas College in Lingfield, Surrey, England. At his bedside were his niece and close friends, who read 2 Timothy 2 to him, and listened to Handel’s “Messiah” with him in his final moments on earth. In 2006, Stott broke his hip and had increasingly become incapacitated. Wright said the elderly clergyman did not suffer dementia, but was weak and in pain in the time leading up to his death. Stott will perhaps be best known for being the chief drafter of the 1974 Lausanne Covenant, the evangelical manifesto on evangelism and theology. He also was the primary author of the Preamble to the 1951 constitution of the World Evangelical Alliance, the world’s largest evangelical organization, now representing some 600 million evangelicals in 128 countries. “I can’t think of another evangelical theologian who would come close to Stott in both the depth of his diligent scholarship and the breadth of his unifying work in the global body of Christ – especially through the Lausanne Movement,” said Greg Parsons, global director of the U.S. Center for World Mission, in an email. “It is probably his involvement in guiding and crafting the masterful document known as the Lausanne Covenant that will be the best single thing for which he is known,” remarked Parsons, who was a member of the Statement Working Group at Lausanne III in Cape Town, South Africa, in 2010. Parsons shared that Stott’s talk at the Urbana Student Missions Conference in 1976, titled, “The Loving God is a Missionary God,” became the first chapter of USCWM’s Perspectives reader. John Robert Walmsley Stott was born to Sir Arnold W. Stott, an accomplished physician and an agnostic, and Emily, a Lutheran who took her youngest son to All Souls Church in Langham Place, London, as a young boy. Stott later became rector of All Souls in 1950, then rector emeritus in 1975. Fond memories of Stott include his passion for bird watching and his affection for chocolates. 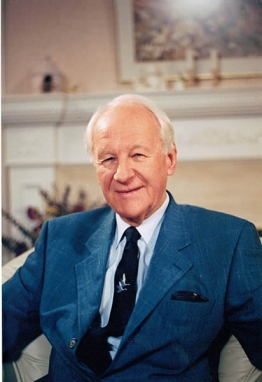 John Stott Ministries President Benjamin Homan recalled that the month before Stott passed away, a friend had visited and told Stott that a black bird was outside his window. Stott, who had lost much of his eyesight by then, corrected his friend, saying that it was a nightingale, which he knew from the bird’s chirp. Today is John Stott’s first birthday in heaven. Coming toward the end of my (32-year) ministry as Pastor for Preaching and Vision at Bethlehem Baptist Church, I read Alister Chapman’s new biography of John Stott with special interest. I wanted to see how he finished at All Soul’s and how he shaped the rest of his life. The council accepted the proposal and 15 months later Michael Baughen took the helm. “Within a few years All Souls was bursting again” (75). But, Chapman observes, “by almost any measure, Stott’s ministry at All Souls was a success” (77). Stott was still on the ministerial team at All Souls for another five years. When the severance was complete in September, 1975, he wrote, “I find myself pulled and pushed in various directions these days, and need divine wisdom to know how to establish priorities” (Timothy Dudley-Smith, John Stott, A Biography: The Later Years, IVP, 2001, 248). I found this comforting. It is remarkable how many good things there are to do. And if one is ambitious to live an unwasted life for the glory of Christ, discernment is crucial. Sudden release from decades of familiar pastoral expectations can easily lead to sloth or superficial busy-ness. Stott’s discovery was that his calling was a remarkable global ministry. “As with Jim Packer, Stott gave himself to Anglican politics but in the end tired of them. Neither had an obvious, appealing role to fill in England. Both were in demand elsewhere. The result was that two of England’s most gifted evangelicals spent most of the end of their careers serving the church beyond England’s shores” (Godly Ambition, 111). The thesis of Chapman’s book, Godly Ambition: John Stott and the Evangelical Movement (Oxford, 2012), is that Stott “was both a Christian seeking to honor God and a very talented man who believed he had key roles to play in God’s work in the world and wanted to play them. In short, he combined two things that might seem incongruous: godliness and ambition” (8). With that double drive, “few did more than John Stott to shape global Christianity in the twentieth century” (160). Ambitions for God, if they are to be worthy, can never be modest. There is something inherently inappropriate about cherishing small ambitions for God. How can we ever be content that he should acquire just a little more honour in the world? May every one of us, in the transitions of our lives, seek the kind of holy fire that gives both the light of discernment and the heat of ambition. All of it for the glory of God. This is my deep longing as I face whatever future God gives. “I believe that to preach or to expound the scripture is to open up the inspired text with such faithfulness and sensitivity that God’s voice is heard and His people obey Him” (His definition of expository preaching). Did You Know? Stott daily woke up at 5:00 a.m. to read the Bible and pray for hundreds of people before breakfast. For over 50 years, he would read the entire Bible annually.